Simple repair of a pay of split-system. Starting relay replacement. Derangement of the starting relay, — one of the most widespread cases of breakage of air conditioners. The most widespread and often meeting case of derangements of pays of management of air conditioners in an inexpensive segment is a sticking of contacts or breakage of a winding of the starting relay of the compressor наружнего the block. 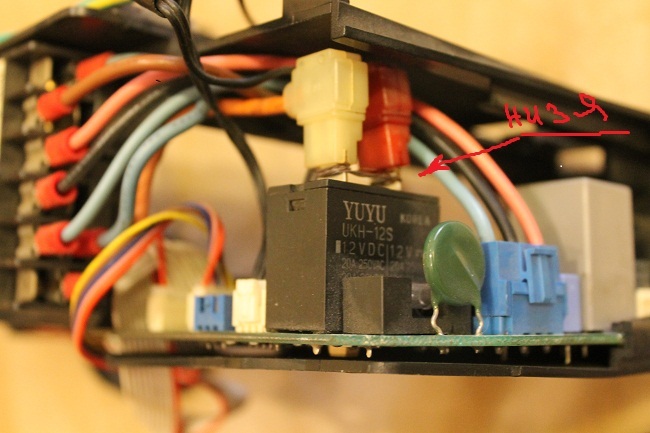 To muster it it is simple, if on a relay winding comes from the transformer +12В, in certain cases +14 volt, and the relay does not close power contacts, it is obvious fault symptom of the relay. Zakorochnye contacts of the starting relay. Practical repair of a pay of management | the Defective relay of the air conditioner from Short circuit of power contacts, a management pay. Even the compressor and the ventilating fan turn as a roundabout. Hurrah-a-a!!! Aftereffects of wrong repair of the relay, — compressor breakage. But, such «specialists-repairmen» do not reflect on aftereffects of strapping of contacts power, the starting relay, about full breakage of the compressor of split-system. If the inhabitant through a benchboard switches on an automatic regime, or an unwatering regime, or simply makes реверсное switching from a cold on heat there will be an automatic switching of the four-running valve and the compressor gains frank hydro-blow. Whether long serves such device? I doubt. As the alternative, solutions of a problem of breakage of the starting relay if there is no possibility to get an original detail, is to make the starting relay portable, the price of a question 50–150 rbl. Derangement of the starting relay of the air conditioner categorically cannot be corrected by a compulsory contacting, wire winding, ... is can lead to compressor breakage наружнего the split-system block. Зелёненький on given fig. is a varistor, it is that element of a food which protects a pay of the air conditioner from short-term voltage surges. The varistor — smoothes voltage «throws».